WE WILL TRAIN OUR HEARTS & BODIES....FOR A FIRM UNSHAKEN SPIRIT! WE WILL PURSUE THE TRUE MEANING OF THE MARTIAL WAY...FOR OUR MINDS TO BE ALERT! WITH TRUE VIGOR..WE WILL SEEK TO CULTIVATE A SPIRIT OF SELF-DENIAL! WE WILL BE COURTEOUS...RESPECT OUR SUPERIORS...AND REFRAIN FROM VIOLENCE! WE WILL LOOK UPWARDS FOR WISDOM & STRENGTH...AND NOT SEEK OTHER DESIRES! 1. When entering or leaving the Dojo and training floor, you must bow and say "Osu". 2. When late, kneel at the side of class in SEIZA. Wait until acknowledged by instructor and quickly join the class. 3. No eating, drinking, or chewing gum in the Dojo. 4. Do not practice KUMITE unless instructed by the instructor and instructor is present. 5. Always ask permission from the instructor, if you must leave, do not walk between the instructor and the class. 6. Address the instructor by proper titles (SENPAI, SENSEI, SHIHAN). Acknowledge with a loud "Osu" when spoken to. 7. Do not laugh, giggle, talk or cause disruption during the class. Always stand in YOI when awaiting for commands. 8. All directions should be obeyed without question. Nothing asked that the instructor has not done. 9. If you cannot keep up, do the best you can and DON'T GIVE UP! 11. During Break: No sitting on chairs or, leaning against the wall or lying down. Train rather than waste time. 12. The Dojo floor/mat is to be cleaned at the end of classes (Every members responsibility). 13. All mobile phones must be on silent during training. 14. When needing to adjust your karate-gi, bow and turn away from class or your partner to readjust karate-gi. 15. Your karate-gi must be neat and washed clean at all times. 16. Your belt should NEVER be washed, It symbolically contain the spirit of your hard training. 17. Don't wear jewelry or watches during training. Supervision: All kumite will be under the supervision of Sensei Only. Each fighter is to wear a groin protector, head guard, mouthpiece, shin-instep guards, and fist guards. Use of chest guards, and head guards are optional. PUNCHES (tsuki waza); All body attacks (excluding the groin area), jabs, straight punches, hooks, uppercuts, and elbow strikes, (Controlled face attacks-head gear). 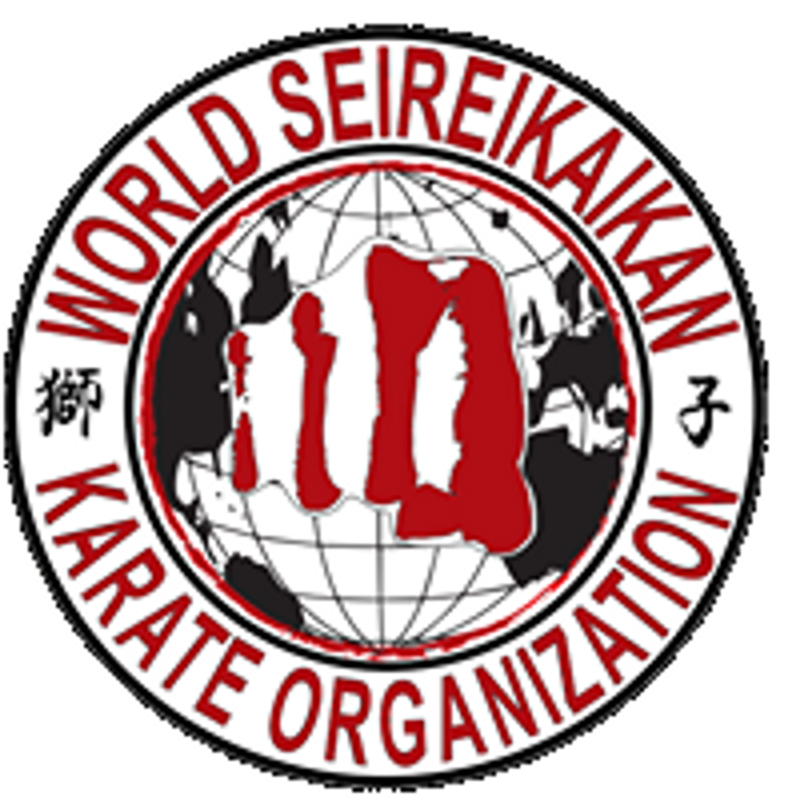 KICKS (geri waza); All ranges of kicking (except groin area). Low, high, middle, front, side round and circular, knee kick, jumping, and kick from ground are allowed. TAKE-DOWNS & THROWS (nage waza); Any throw or take-down executed by gi-holds are only permitted by Sensei or higher ranking instructor. Senpai will not be allowed to permit this action. 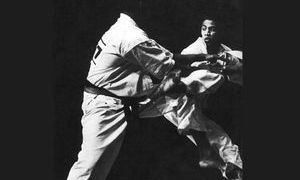 Using ones head to deliver a blow to the opponents head or face. Elbows to the opponent's head or face. Attacking the opponent in the groin. Attacks or strikes to the joints (knees, spine. Kicks, & punches in the groin area are not authorized). Using bear hugs and joint locks when using throwing techniques. Thumbing, biting, or gouging the opponent. Attacking a downed opponent or in the process of getting up. Attacking opponent's after a time-out or end of match call. Attacking opponent's back at any time along the spinal column, including the back of the neck or head. Protocol: Respect for the opponent and the instructor will be shown at all times. Each match will begin and end by bowing and shaking hands. If either participant is injured, fighting will stop at once while the injury is assessed. The non-injured participant will kneel at the edge of the ring while this assessment is made.